Soloist Zuill Bailey explains why his Goffriller is comfortable to play despite its large dimensions. As a young person I borrowed cellos for concerts, like everybody else, and so I was able to play every possible make of instrument. But when I found this cello I knew that it was the one, absolutely no question in my mind. It had belonged to Mischa Schneider of the Budapest Quartet for over 30 years; he sold it in the late 1960s to another player in LA, who also had it for 30 years, and I’ve already had it nearly 20 years. So it’s a real player’s instrument. From an early age I loved the cello. I grew up with Rostropovich’s sound and his influence through the National Symphony in DC [Mstislav Rostropovich conducted the National Symphony in Washington DC from 1977–1994]. As much as I loved all of that, the sound of the cello in my head – what I thought of as a cello’s sound – wasn’t what I was hearing. The moment I played this cello for the first time, aged 25, I heard the sound that I’ve always heard in my head. It’s this balance between a solo instrument and a broad bass. 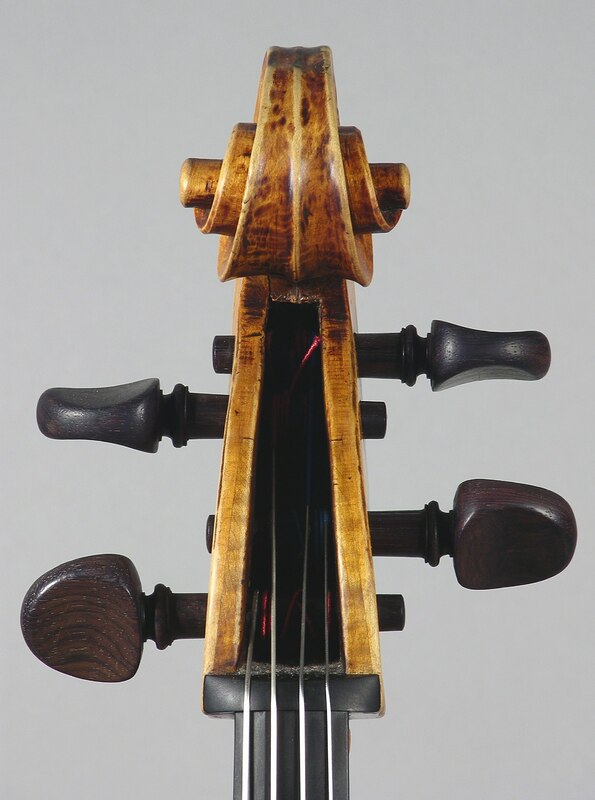 It has the space to allow the top of the cello to resonate, but when you hit the mid to lower register it has two extra gears. I imagine this is what probably attracted Schneider so much to the cello, because it really does have a unique voice. It is larger than average, with a 77 cm back length, and when I play smaller cellos I feel a kind of relief. The string length itself is standard but you have to open your body up more to play it. The difference between this and a Montagnana is that the middle and bottom bouts are bigger than a Montagnana, but the top [which has been reduced from its original dimensions] is smaller than a Montagnana in its original form. And that’s what makes this comfortable to play, whereas a Montagnana is sometimes uncomfortable because the shoulders are so broad. You really have to climb over the top of the shoulders of a Montagnana. If the top was much bigger, this cello would be ridiculous to play because it would be too big. It’s shaped kind of like a pear. 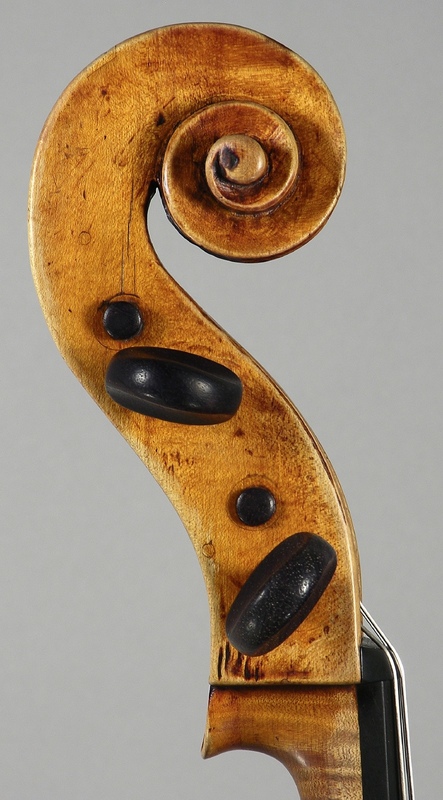 It was one of the first cellos Goffriller made after he broke from his master, Martin Kaiser, and I feel he was really trying to prove himself on his own by showcasing all of his abilities – he chose a beautiful piece of a blondish, gold wood and he also took the time to carve a beautiful rosette on the top. 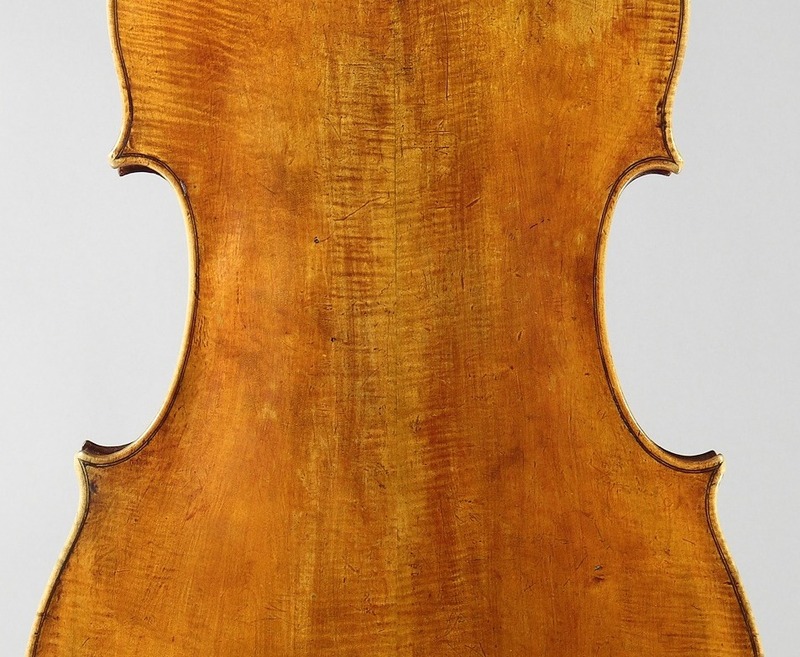 It’s one of only two early Goffriller cellos that I know of with a rosette. This is the second Piatigorsky Festival I’ve been to. It’s such a treat for me because my teacher, Stephen Kates, was a Piatigorsky pupil. Everything that I grew up knowing of the cello and the repertoire was via Stephen Kates via Piatigorsky. When I was invited to play a recital at the festival this year, I decided to do a Piatigorsky tribute and play transcriptions of his. He was known for his amazing technical wizardry so my whole programme is a knuckle-busting one! I have been to many of Ralph Kirshbaum’s festivals, including one in Manchester, and they really are remarkable, memorable occasions. 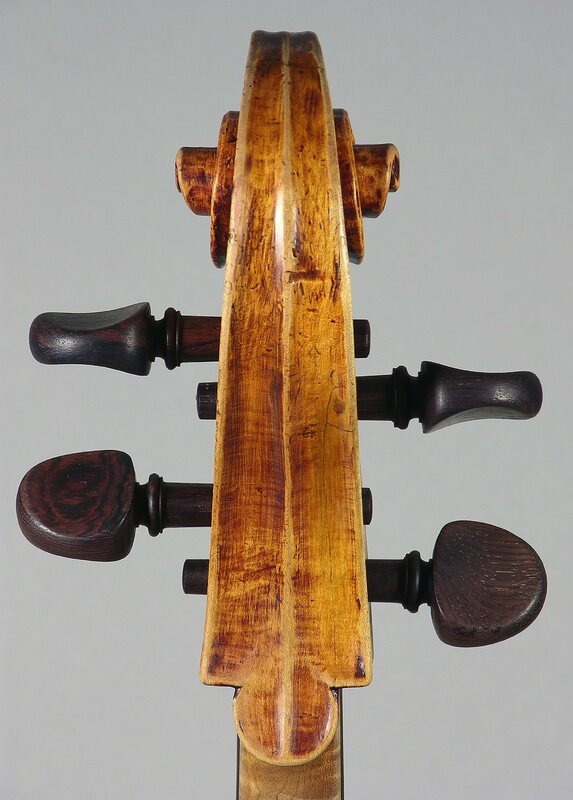 This cello is constructed on grand proportions and its present body length is 77 cm… The broad sweep of the lower bouts [is] a defining feature of Goffriller’s cellos. The wide arcs through the lower half of the bout continue almost uninterrupted across the lower block – whereas in most classical designs this area is flattened almost to straightness. Goffriller continues the sweep upwards into the lower corners, and the transition into the concave arcs of the corners occurs quite suddenly, giving the outline a rather high-hipped appearance. The centre bouts are also interesting… they are very elongated and straight, giving the cello enormous width across the centre. This is absolutely crucial in producing the instrument’s profound tone. The upper bouts have been reduced – very artistically – using the original edges and purfling… There is no real sign of disturbance, but the present outline is slightly bottom-heavy, as if seen in a distorting mirror. 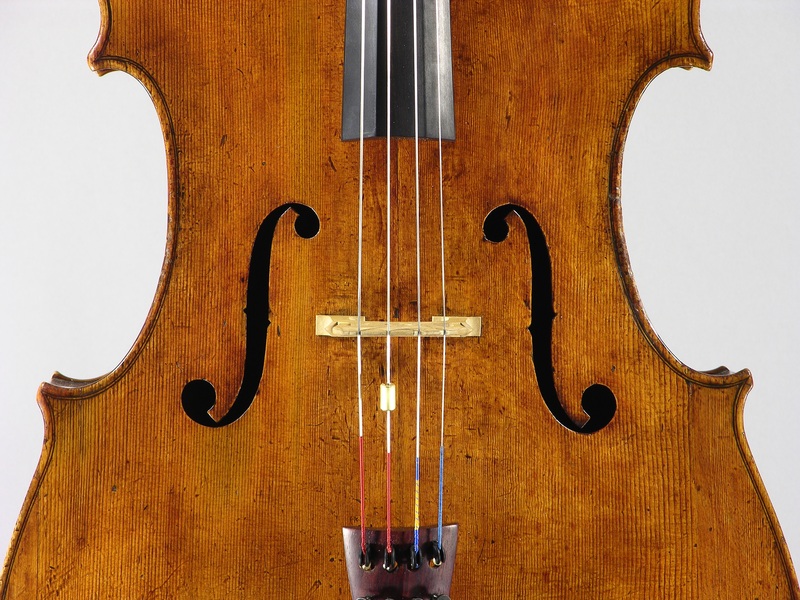 From the player’s point of view, however, this form is ideal, with a standard stop length of 40 cm, small upper bouts for the left arm to negotiate and huge airspace and resonance in the remaining, unaltered part of the cello. …Goffriller’s [varnish] is normally dark red-brown and contained in a very thin, dry layer, exposing and emphasising the texture of the wood surface. 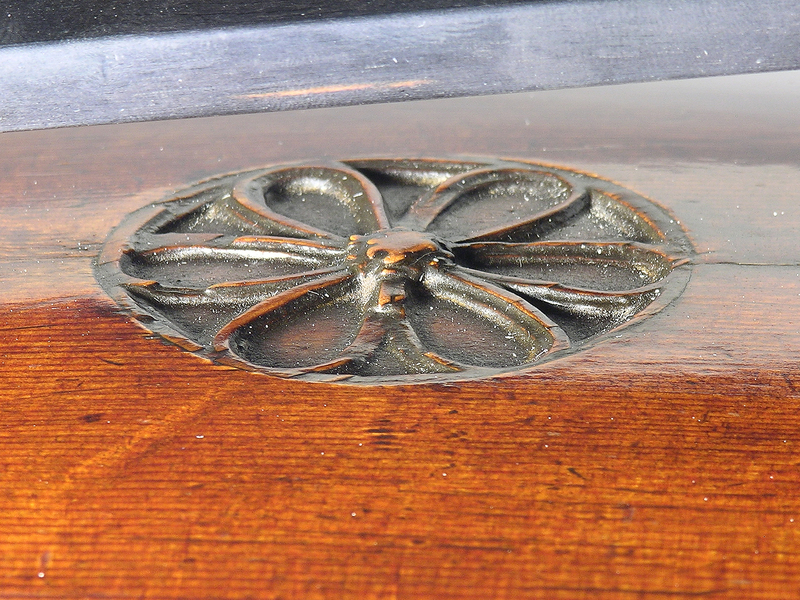 This instrument, however, has a surprisingly pale hue, but the varnish is no less beautiful. It is thin and of a sandy gold colour with a soft texture, the pigment laid close to the wood. Excerpted from a feature originally published in The Strad, December 2003 edition. Reproduced by kind permission.